Affiliate Egg – is a WordPress plugin, which allows you to add in your posts sample products from popular online stores and monetize referrals through the CPA-networks. Watch a short video to learn how does the plugin works. Many buyers ask what is difference between Content Egg and Affilate Egg? First of all, we added recently integration with Content Egg, so, you can use both plugins with the most powerful combination for affiliate marketing and get all proses from both plugins. Check also Content Egg offer or see how plugins can work together. Difference is in logic and in tools. 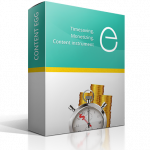 Content Egg uses keyword to search products through Product API of affiliate systems. Each system has own API and rules. So, you enter keyword, plugin returns products, then you choose which are the best and insert them in post with one of output template. You can also mix products from different affiliate systems in comparison list with special shortcode or divide them in parts with different design. Affiliate Egg has web parser instead searching with API. You need to put direct links on product pages to parse products. So, it’s a bit more work, but plugin doesn’t depend on API of systems (which sometimes can return not all products), you can use it for parse any product page. You can also parse category pages, archive pages. Sometimes it’s very useful, because you can choose the best products on original site and then make something like “storefront with best from site.com…” or “top 15 green shoes from site.com”. So, it’s more flexible in choosing products, but more manual work. Now, about bad part. As I wrote, Content Egg depends on API from affiliate systems, so, you need to have approved programs, you need to have account in affiliate system, you can’t choose special product page from original source if such page is not searchable in their API. Affiliate Egg’s bad part is that it depends on parsers and we can’t make parsers for all shops. So, you can’t use Affiliate Egg if you don’t have parser for site (each site requires own parser). But we have more than 50 ready parsers, also we provide service to make custom parsers ($25 for each). Where to use. Content Egg is better in most cases, especially if you want to use affiliate aggregator as Affili.net, Zanox, CJ, etc. It’s also good for Amazon and Ebay, because they have good API. Affiliate Egg is better if you want to use direct website partnership program. Also, it’s good if you want to parse specific product pages. Usually, people buy Affiliate Egg for local markets. For example, there is no good affiliate aggregators for Indian market. But we have many ready parsers for most popular Indian shops. Also, of course, you can use both plugins. is this plugin works with ReHUb theme only or we can use it with any theme? What is the meaning of output template? could you please confirm the name of Indian E-commerce websites which can be used in this plug in? Can EGGs fetch live prices from local website like those from Brazil? Reviews, content don’t need to be real time, so we use EGGs. I cant find any change log for this plugin which is must for any plugin..
which shows the development of product..
Is this plugin also included with content egg in this theme? Is this coupled with the rehab theme or sold separately? Nice plugin….will it work with sharesale , cj affliate programs?? Are “Content Egg” and “Affiliate Egg” the same plugin or not? It’s not clear to me. Hi, I purchased Content Egg and Rehub and really please with these products. I intend to buy Affiliate Egg. However, when I try to use coupon code for Affiliate Egg order, it says “This coupon code is invalid or has expired.” Can you check the valid of the coupon code ? Can we use the filter for category, price and brand using this plugin? Content Egg has free version on WordPress. You can download the free version to try before upgrade it to the Pro version. I have used your service to create custom parsers for the local market. However, I don’t know how to integrate these custom parsers into the Content Egg. I add codes in Config file (Affiliate Egg), but I can’t enable the module in Content Egg. Can you write a guide in the manual about this integration ? In your custom parser, add next line here http://screencast.com/t/dTAkkSSN it must have an url which is used on site for searh. Can you tell wich custom parsers you already have developed for dutch stores in the Netherlands? hello is this theme and plugin have an excel import functionality for the affiliate means can i able to import affiliate excel file from flipkart, amazon etc.. I am thinking about buying affiliate egg but i am not sure yet. Could you tell me which of your 2 plugins is better to promote products from aliexpress? hello i want to ask if AFFILIATE EGG can work with this themes ? and AFFILIATE EGG is like this plugins ? 1 : if AFFILIATE EGG can auto import products data from amazon ? 2 : price Compare can work with amazon worldwide ( us > uk > it ) and so on ? and work with any themes ? 3 : price Compare have auto update from amazon . ? example : i need to import top 100 laptops from amazon and compare price from all amazon worldwide > can AFFILIATE EGG do that ? It’s not like woozone plugin. Woozone allows to import products from Amazon, one product per one Amazon item. Affiliate Egg is for creating comparison lists or creating offer blocks inside posts or products. It’s not for importing to woocommerce. It works with locales of Amazon. It has auto update feature. Can woozone and affiliated egg work together? Is there an option for the users to submit URL’s (add urls fields for submission from plugin) and to display automatically the results as configured in admin settings (Post submit / Woocommerce Product Submit)? Also, is there an option for mass import/scrape from sites? There is no frontend form for plugin, but this is in our plans for updates. Another difference or ‘bad think’ about A.E. compares with C.E. is that it has’nt the comparison list option, right? Reading the C.E. Pro and A.E. features from plugins’ creator i notee that difference. Could you confirm it, please? OK! Many thanks for clarifing that! I bought this plugin for custom analyzers. But I can not find documentation about it. The one there is very poor. I need it. What do you mean by “custom analyzers”? I need Affiliate Egg plugin but the ecommerce site I promote is not among the list of supported shops. Is there anyway out? How can the plugin be used for shopping site not supported? custom parsers are $30 per parser. Hi, plugin looks really good! I want to ask if there is any option to change the buttons color. And I saw when Im clicking buy it now it leads me direct to Add to cart window in amazon, can I direct the link to my affiliate link to the regular sale page at amazon? 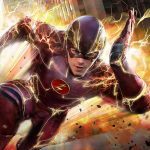 There is any refund option in case the plugin will not be good for me? i want to create website for price comparison . in website i will show all indian shop store lilke amazon , ebay, flipkart, snapdeal n many more with product comparing price…. i will use my affiliate link …….i want to ask which plugin i required for this ?? both plugin(aff.egg,content egg,) or single plugin….? 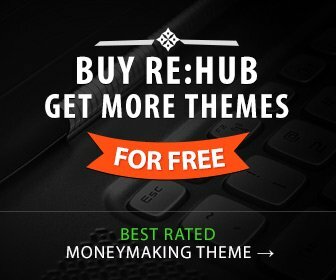 if i purchase rehub theme ..what advantage i will get regarding these plugin ? You will need Affiliate Egg plugin, but Flipkart is only in Content Egg. Rehub has advanced integration with plugin, like special post layouts, special autoblog layouts, special post modules for AE and synchronization with theme fields, post fields. I also hope you can add a feature to add the products that are listed after search as a woocommerce product. This will make Affiliate Egg the best affiliate curator product int he market. Please consider this. I can’t see flipkart and all other sites in CONTENT EGG SYNCHRONIZATION setting, is it because I haven’t purchased affiliate egg plugin? Tell me that if i want to compare products from amazon , Flipkart and snapdeal and other indian websites then which is better ? better to use Content Egg PRO (Flipkart, Amazon.in, paytm), but for other small shops you will need also Affiliate Egg PRO. You can deal with author for good price for bundle of two plugins. This is regarding Snapdeal/Infibeam affiliate link. how to use them? as i dont see any specific settings for these sites. This is regarding Snapdeal / infibeam & Gearbest affiliate links, which settings i need to use to get this affiliate works? at present i don’t see these sites are listed under settings. I have a local price comparison site in Nigeria. All the stores in this website are ONLY Nigeria’s online stores such as konga, jumia etc. I can’t find this on Affiliate Egg shop list. Is it possible for me to still use Affiliate Egg for such local sites? Or is Affiliate Egg is ONLY for those jobs you listed in your demo? Hi, first off I just recently purchased rehub theme and affiliate egg plugin, and it’s INCREDIBLE! In the video, when inserting your affiliate id’s into the affiliate egg settings, do i have to put “tag=” before all affiliate id’s, or just for Amazon? For instance, I am using Amazon, Ebay, and AliExpress. Do I put tag=”example-id”, for each of my affiliate id’s? hey it seems the plugin does not work with ebay deals? can you add support for ebay deals please? Hello Igor , is it possible to crawl and parse coupon code websites? Your message wasn’t delivered to dr.giza…… because the address couldn’t be found. Check for typos or unnecessary spaces and try again. “But Lazada is already available in Affiliate Egg. Hello, the coupon code “CLIENT10” mentioned above is not working for the additional 10% off. Are you aware of another coupon code? Thanks! can i use ” affiliate egg or content egg ” for local affiliate shops neither the supported shops ? the affiliate egg have ” Price history ” feature or not ? Is the plugin fully working on Lazada? I’m gonna buy it. If i buy the Re:Hub Theme will I get these affiliate egg for free? I watched the video. Can I only use my affiliate products on my homepage? About the Re:Hub Theme is this an unlimited license? Thanks. I’m about to buy. you said we can create custom parsers by myself, how too add it? any docs? Hi there. I have read through all of the comments before posting here. All I wanted to know is if I ask you to create a parser, will it then automatically update product price? Is there a detailed video on what parsers are and what do you get on your website after you add them? Hi can you add the affiliate of these site please ? hi, Is there plugin work to automatically update the price of deals? and to check if the discount coupons are still valid? yes, it has price update, but what discount update do you mean? discount coupons, exemple : with coupon “Fr10232” price is 50$ without coupon price is 75$. The coupons have a random life so check often if they are still valid. Is it possible that the plugin checks this? Sometimes it’s flash sales so no need for that but sometimes so. I have a problem I bought the plugin but when I do a search with the content egg with affiliate pro for gearbest, my prices are displayed in $, I wish they are displayed in €. If I add currency = EUR in the code it’s not the exact price! I tried to change with custom cookie but the price stays in $. Hi there, I’m interested to buy both CE and AE, but will there be more PHP currency stores added like Zalora.com.ph, Ebay.ph,…? Since I can only see Lazada in the list for PHP currency, so I wouldn’t even be able to offer a price comparison on my website. Thanks! Thanks for the tip, I’ll have a look. Custom parsers would also be an option indeed. Cheers!